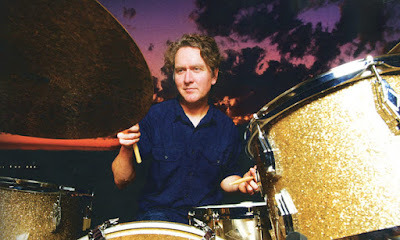 Former Pearl Jam drummer Matt Chamberlain says he will be unable to attend the band’s induction into the Rock And Roll Hall of Fame next month. Chamberlain tells Rolling Stone that, while work commitments will prevent him from appearing at the April 7 ceremony at New York’s Barclays Center, he is thrilled to see the band being recognized. "I'm so happy they are getting honored by the Hall of Fame,” he says. “They are good friends and total inspirations. I wish them all the best. Of course, I appreciate the shoutout." Chamberlain joined Pearl Jam in 1991 for live dates in advance of the release of the debut, “Ten”, stepping in after Dave Krusen recorded the project and then left for rehab over drinking issues. Following an appearance in the video for “Alive”, Chamberlain exited the lineup to join the house band for Saturday Night Live during the 1991–1992 season. Chamberlain recommended Dave Abbruzzese for the gig; he went on the “Ten” tour and played on 1993’s “Vs.” and 1994’s “Vitalogy”, and was fired prior to the third album’s release. Original Red Hot Chili Peppers drummer Jack Irons then came in for the 1994 tour and recorded 1996’s “No Code” and 1998’s “Yield” before leaving, with Soundgarden’s Matt Cameron added to the lineup moving forward. The news of Chamberlain’s status for the Rock Hall induction comes on the heels of an invitation by Pearl Jam to see all former members at the event, despite the fact that three of five drummers in their history will not be officially honored by the Cleveland, OH-based institution. Chamberlain, Abruzzesse and Irons will not be inducted alongside the current lineup of Eddie Vedder, Mike McCready, Stone Gossard, Jeff Ament and Cameron, and founding member Krusen. Abbruzzesse has made headlines in recent months by challenging both the band and Rock Hall organizers over the issue. Pearl Jam will be inducted by Neil Young as part of the Class of 2017, alongside Journey, the Electric Light Orchestra, Yes, Joan Baez and Tupac Shakur.